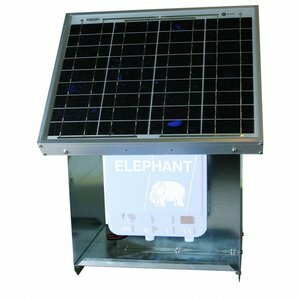 With the Elephant Solar System Accu your ELEPHANT A15 or A30 energizer operates an entire season from March to October. 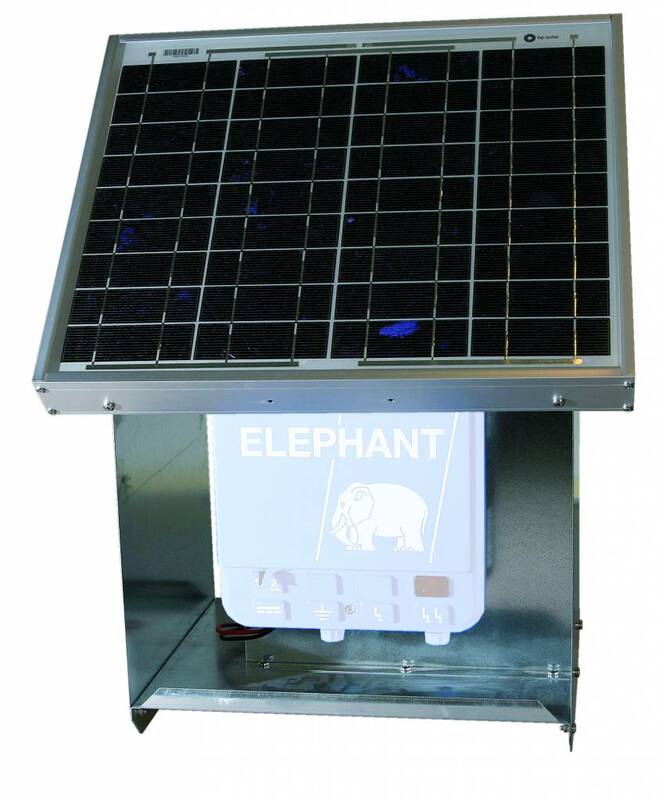 Save time and money by not having to recharge the wet cell battery every time by using the Elephant Solar System Accu. Contents, Solar cell 20W, Protective case for electric fence, 45 degree mounting bracket, Cables and electronics. 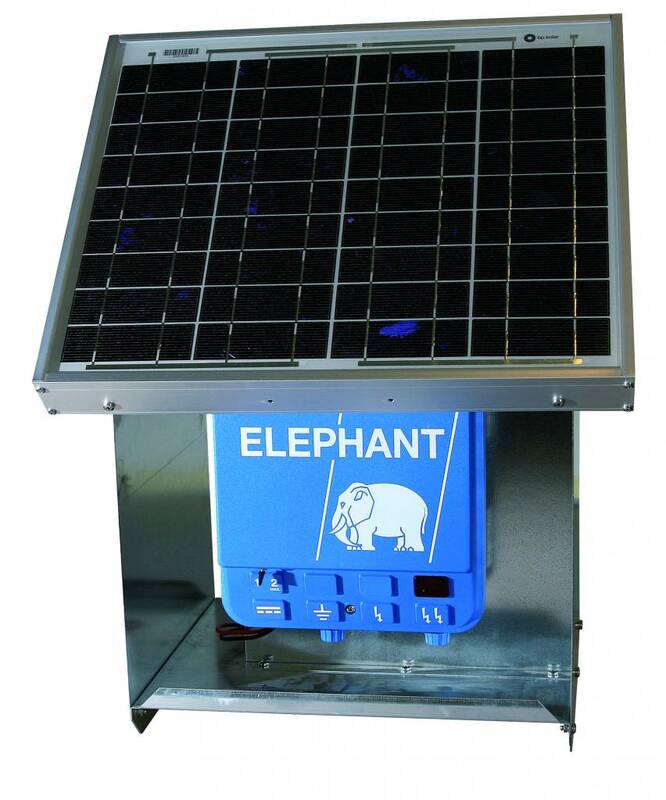 Elephant recommends to use a 12V/85Ah battery with the system. Electric fencing and battery are sold separately.